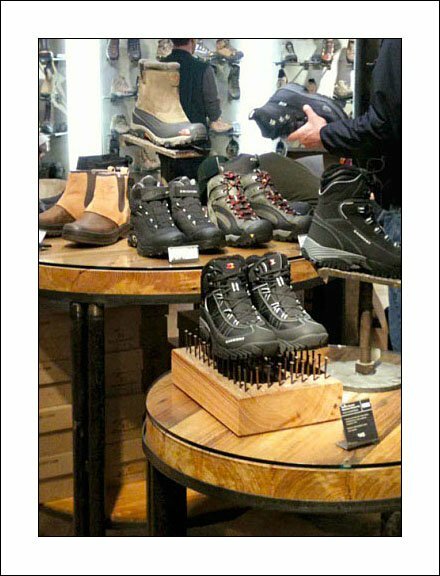 REI Boots Hike a Bed of Nails – Image Courtesy of Visual Merchandising & Store Design and Recreational Equipment, Inc.
VMSD’s coverage of the REI Flagship Manhattan Store included this interior portrayal of REI Boots Hike a Bed of Nails. I could not resist a re-post, and tie to other outdoorsy visual merchandising discussions here on FixturesCloseUp. The purpose, of course, is to visually communicate the rugged nature of the boot, and equally important, the rugged nature of the individual’s lifestyle. 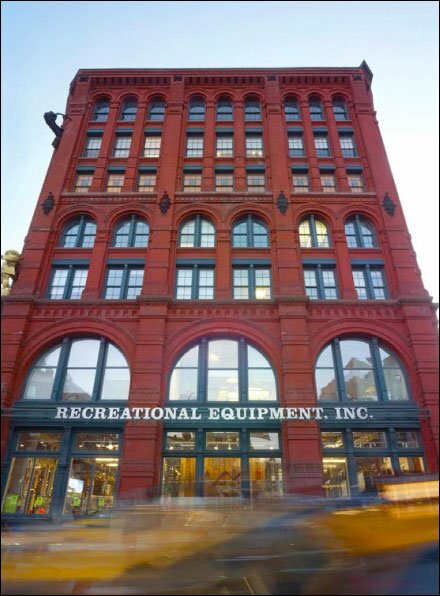 See the thumbnail for a view of REI’s Puck Building, Manhattan Store. “Urban Adventure” in the VMSD Digital Edition.